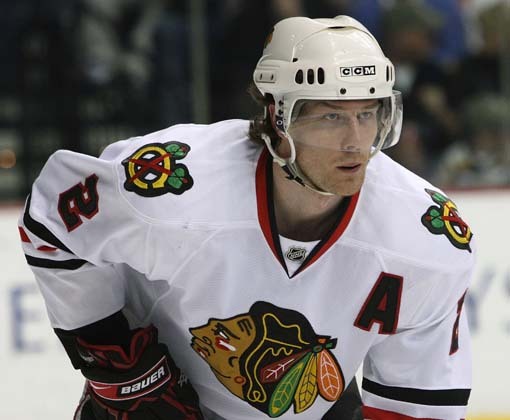 Sportsnet’s Nick Kypreos is reporting late Thursday night that Duncan Keith’s meeting with the NHL might be bigger than initially reported. Kypreos tweeted that the league has indeed asked Keith to meet in-person regarding his elbow to the head of Daniel Sedin, who suffered a concussion on the play. UPDATE: TSN’s Bob McKenzie tweeted late Thursday night that the NHL had indicated to Keith early on Thursday that a phone meeting would be sufficient, but that the league may have changed their minds and has asked for an in-person meeting. McKenzie also indicated that Keith has not waived his right for the in-person hearing yet. Finally, McKenzie tweeted that the league will make a decision regarding the the hearing on Friday morning. The disciplinary hearing was initially reported to be a phone call, which would limit any potential suspension to five games; an in-person hearing allows Brendan Shanahan to suspend a player for more than five games. Keith can waive his right to meet with the league in-person. Shanahan suspended Shane Doan, the Coyotes’ captain, for three games for an elbow to the head of Dallas’ Jamie Benn on Tuesday night. Doan is a repeat offender, though; Keith has never faced discipline before. Benn was not injured on that play. So Brendan Shanahan, A FORMER DETROIT RED WING, may be thinking about laying down the hammer and making an example of Keith a Chicago Blackhawk. Hmmmm. . . I’ve watched that hit about a dozen times. No one who is not legally blind can watch that and think that it was intentional. 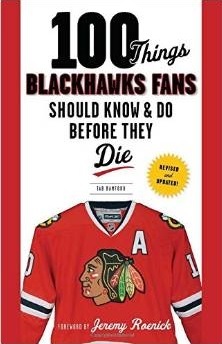 Unless you are a mentally impaired Vancouver Canucks fan (which goes without saying). Alpo S… get lost… go watch your president trophy…. I can stomach a reasonable suspension for Keith if Sedin also gets suspended for his hit on Keith. Since Sedin got hurt maybe Keith gets more but if Sedin gets nothing and Keith gets a major suspension then I think the league is getting too hung up on whether somebody gets hurt or not as part of the evaluation. Anything more than 2-3 games is a joke. Keith isn’t a repeat offender & was obviously reacting to Sedin’s cheap shot on him earlier. I think he deserves a ‘slap on the wrist’, but if he gets more than Doan did then the NHL & Shanahan needs to check itself. Injuries do factor into the equation, so Keith may well get more games than Shane Doan. Working in Keith’s favor is that he is a first time offender and, whether or not the league gives him credit for this, he didn’t outsource his retaliation on Sedin’s earlier dirty hit. Given the injury, I think five games is realistic. However, Sedin should not get off either. He and his brother’s Eddie Haskell routines are cringeworthy. Just to get him on record as a first time offender is worthwhile. One game with credit already served after missing last night’s game. Just you wait, Daniel Sedin will magically bounce back once Keith is suspended. One thing is sure, the longer the suspension, the more fuel is thrown on this rivalry. Yes, Keith deserves a suspension, but Sedin should get one as well for his dirty. We all know who the league favors though. I’ll be sick if he gets more than 3 games. Yes, Sedin was injured on the play, but he is NOT a repeat offender. Bottom line Doan is more dangerous than Keith and Keith should get a shorter suspension. hopefully keith won’t be gone long we need him. also when the hell is toews supposed to be back is he gonna miss the playoffs?